Care centers in Europe are as varied and multi-dimensional as the people who volunteer to do care work in them. Most of the children at these facilities range in ages from babies to teenagers. The local staff working at these European care centres are overworked and the help that the Projects Abroad volunteers offer is invaluable. Volunteers looking to help care for disadvantaged children in Europe can volunteer in Romania, a great destination for anyone looking to give back while discovering a new culture with a combination of ancient and modern outlooks on life. 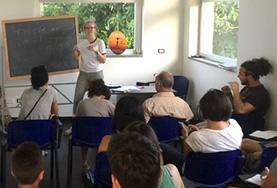 We also offer volunteers the opportunity to help refugees and migrants in need on a Care Project in Italy. The care, guidance, and support that you can give to refugees and migrants arriving in the country (or those already there) is vital and will have a significant impact on people’s lives. Volunteering in Europe can take many forms. Our most popular projects are at care centres where the children who need the greatest amount of emotional and educational support live. Even if you have little previous experience or skills, you can still make a difference in their lives by focusing on Early Childhood Development and doing a wide assortment of other activities at your placement. Volunteering with children in Europe is a challenging but rewarding experience. Whether you spend eight weeks or two weeks doing care work with children in Romania, your work will include tasks such as playing educational games, teaching songs, doing arts and crafts, and making sure the children learn good hygiene practices. "I primarily focused upon playing with the children and entertaining them. One of my favorite goals of each day was to connect specifically with each child’s own unique personality, to make them laugh and enjoy themselves. I charted their developmental progress, as well as areas of improvement that future volunteers could work on. This aspect of my duties as a volunteer was not easy for me, but it was rewarding and fulfilling." Children and adults with special needs require more attention and help coping with their disabilities on a daily basis. Volunteer care work with children and adults with special needs deals with the mentally and physically disabled – including the deaf and the blind. So if you have any interest in learning sign language, brail, or developing methods to help people with special needs, this is an excellent opportunity for you. Even though you do not need any prior experience to participate in one of these projects, what is required is a strong motivation to help others. The children and adults at these projects are active so you will find yourself busy in your new surroundings. Day care centers and kindergartens in Europe help care for children that need a lot of extra support. Due to staffing limitations volunteers are needed to pick up the slack and help. Volunteers in childcare work can do a large variety of activities with these children – art, music, sports, puzzles, games, and so much more! Once again, you will need lots of stamina to keep up the children. These children are energetic and will want the emotional support and friendship you offer. Working in a kindergarten, volunteers will teach classes, improve literacy, and assist the local staff, while also helping with the daily tasks affecting the running of the kindergarten. 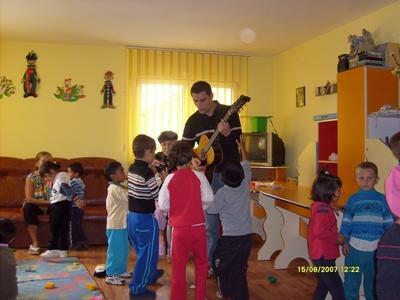 At day care centers, volunteers will do similar work, providing a safe and stimulating environment for local children. Over the years, our volunteers have worked with children at orphanages and residential care homes in Europe. They have done incredible work at these placements, improving living conditions there and creating opportunities for children by supporting their education and care. However, we have decided to move our focus away from orphanages and homes toward community and family-based care. This is because we believe stable family environments are best for the children we work with. Read more about orphanage volunteering and our position on it. This means that instead of volunteering in orphanages in Europe, volunteers will work in placements like day care centres, kindergartens and schools, or support groups for the elderly and mothers and babies. This will help Projects Abroad build stronger relationships with local communities and – most importantly – help families stay together and flourish. 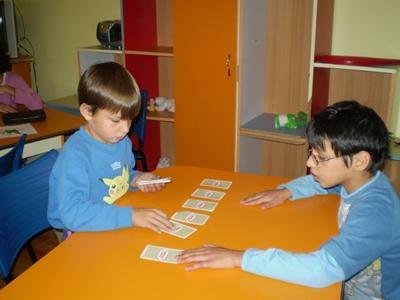 Based in the ancient city of Brasov, volunteers work in day care centres and centres for those with special needs. Help by playing games and teaching basic lessons and daily hygiene routines.